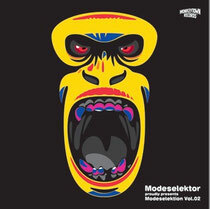 Modeselektor release ‘Modeselektion Vol. 02’ on 2nd July and compared to the rather cute and peaceful cover of ‘Modeselektion Vol. 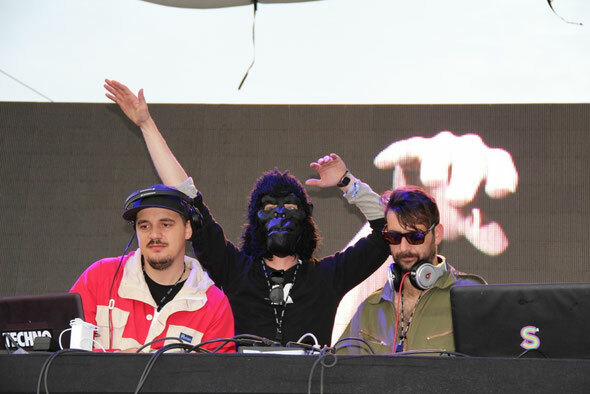 01’, this time it's all a bit different as the music this time explores darker, more experimental grounds, with one eye focused on the trademark Modeselektor party-factor. Featuring unreleased exclusive tracks by Monolake, Prefuse 73, Mouse on Mars, Clark, Lazer Sword, Martyn, Siriusmo, Addison Groove, Egyptrixx, Anstam, Diamond Version (a new project by raster-noton's Byetone and Alva Noto), Phon.o, Bambounou and many more, ‘Modeselektion Vol. 02’ unites some of the best names of the electronic music scene. The compilation will be released as a 3xLP, CD and download version on July 2nd and as an introduction to the project there will be a 12” single featuring tracks by Modeselektor and Martyn released on June 1st. The record release party will be held at Rex Club in Paris (France) on 29th June featuring Addison Groove (live), Anstam (live), Sound Pellegrino Thermal Team and Lazer Sword (live). Full tracklisting below, which we think is pretty damn hot.